I use these with my miscellar water cleansers. It just covers way more surface area and makes the job quicker and easier. The difference between swisspers and other cheap brands is huge. When I use the cheap ones I end up using like 10 of them, they become saturated too easy, waste product and fall apart. The swisspers absorb the product well without becoming soggy and I only need one or two maximum. Worth their money every time. These are great quality and I use it for just about everything: removing face and eye makeup, removing nail polish and using it with my favourite toner. We always keep these in our beauty cupboard as we use it almost on a daily basis. It is a nice size so I only have to use one at most to remove everything. With other brands the ovals can be so thin that I have to use several which can be annoying! It is also absorbent enough to get the job done without tearing apart or leaving bits of the material behind. They are soft and do not irritate my skin at all as some cotton pads can be a bit rough or itchy. I’ve used the regular sized round Swisspers make up pads for removing eye makeup for years. As a recent convert to the wonder that is Micellar Water, I was looking for something a bit larger for removing a whole face of makeup. I saw these in store and thought they may do the trick. These come in a pack of 40 rather than the 80 pack of its smaller cousin. They are roughly double the size though so cost wise they work out about the same. It’s the convenience of having to use one wipe rather than two smaller ones that makes me keep buying these over and over. Also, they’re made from 100% pure cotton so they’re nice and gentle. Just like the smaller version these are the same thickness and strength. They also have the same handy drawstring at the end of the packet to seal the packet between uses. I can remove a full face of makeup with just the one pad. It does look a little worse for wear at the end of proceedings but I’ve never had one break or get holes so they stand up quite well. I do find that occasionally (maybe one pad per packet) there will be one that’s a little thinner than the rest that needs to be thrown out. Unless this becomes a common occurrence it doesn’t put me off repurchasing and I have done many times. This is definitely one of my bog standard bathroom staples! While I use smaller size cotton pads for nail polish removal, I Iike to use these large cotton ovals for all my skincare requirements. As others have mentioned, you really do notice the quality of these cotton rounds once you use them - others just don't stack up when I compare them. They have a wonderfully soft texture, and stay fully intact whether used wet or dry. There's never an issue with the pads fluffing or shedding fibres. I love how the size of each paid is quite generous, enabling me to remove my cleanser, mask, or other products with ease & without needing to use too many pads. 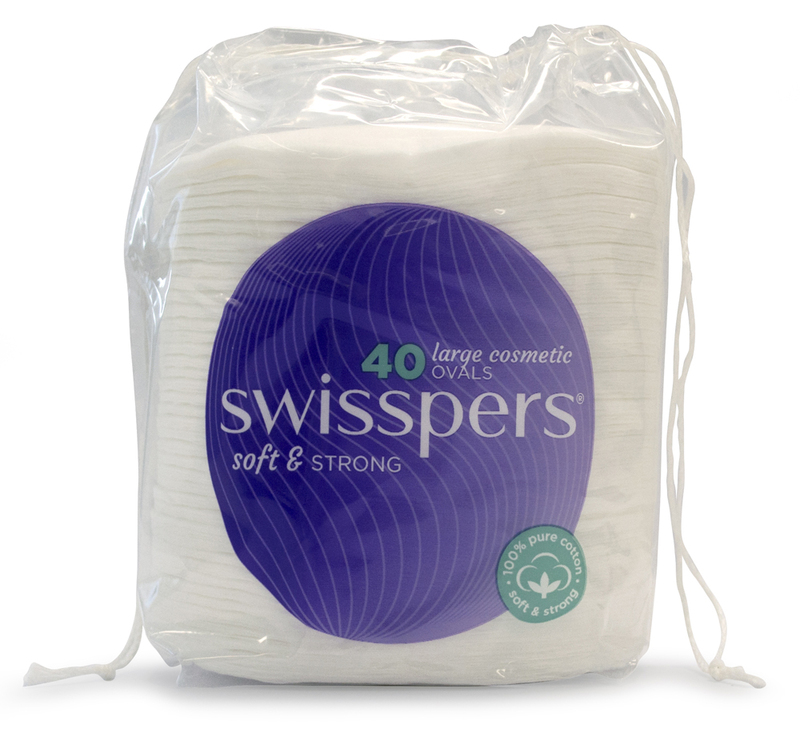 I have used the smaller Swisspers cotton pads but I didn't like them due to their sealed edges which scratched my face. They were especially irritating around my eyes. However, the Swisspers Large Cosmetic Ovals are great! They don't have the annoying sealed edges, yet they don't fall apart during use. They feel soft on my skin and they don't have messy fibres. I would love to see the Swisspers Large Cosmetic Ovals available in a cost-effective bulk amount as I've gone through them quite quickly. I normally use Coles or Woolworths branded cotton pads because they are alot cheaper. I did however use these on my overseas trip to the US and noticed straight away the quality was much better, softer and more gentle when using it against my skin. Great, multiple purpose product. Not sure if i would repurchase because of the cost. These are a great size for removing a full face of make-up - I'd go through 2-3 of the smaller ones. Also good for applying toner & removing nail polish. I bought a couple of packs when on special. I have started using these to removing my eye make-up to applying my cleanser and it only takes one oval. I find it more softer on my skin then using tissues and they are also great to remove your nail polish too. They can tear a bit though but other then that I find it a great multi purpose product.  These are great for use with toner and makeup remover. I do think though that if you use them that reguarly that they can be a little expensive but they are definately softer than the ones you can buy from cheaper brands.